Toward Equity Series: Vol. 8. 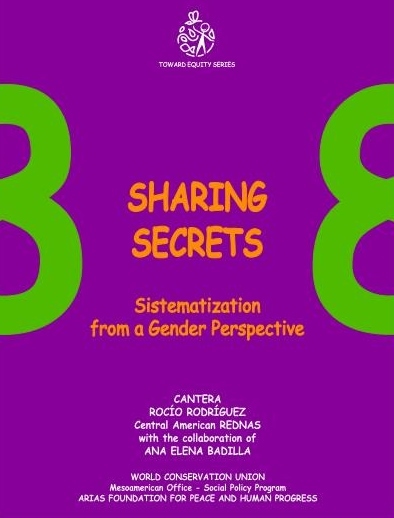 Sharing secrets: Systematization from a gender perspective. Author: Rodriguez Villalobos, R., Badilla, A. E., Odio, P., & Oliver, J. (2000). This series sought to provide tools and instruments for integrating a gender equity perspective at every level of the work cycle. This module presents basic conceptual elements for understanding the proposal for gender-based systematization, considers the personal qualifications and institutional requirements needed to undertake gender-based systematization, and indicates the steps to follow in a gender-based systematization.